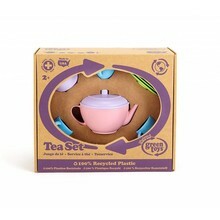 Talk about green tea!! 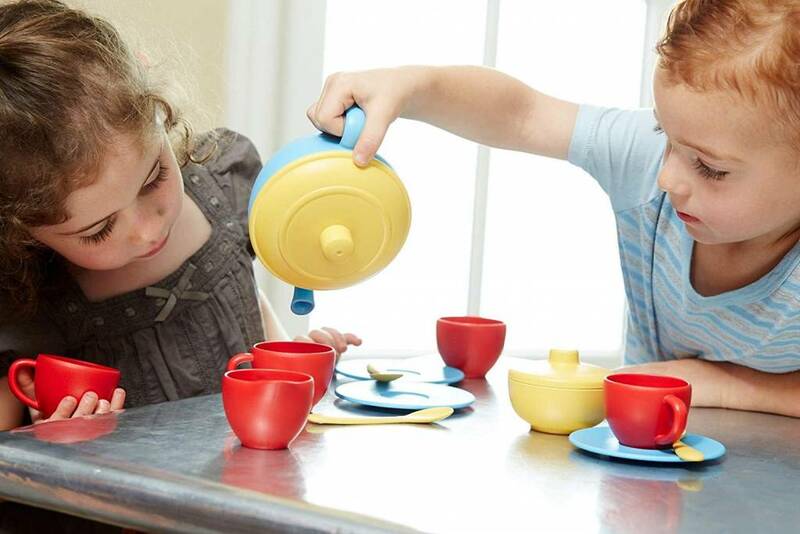 Young hosts can serve up a pot of tea while doing something really good for the earth. 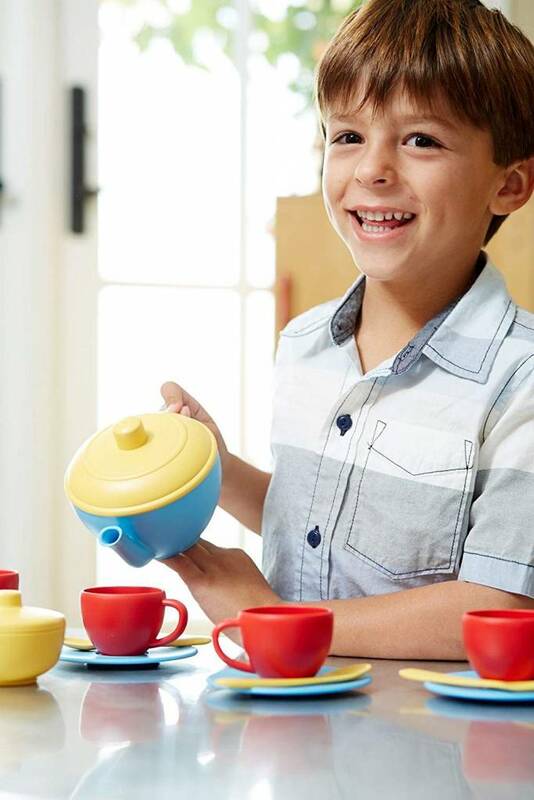 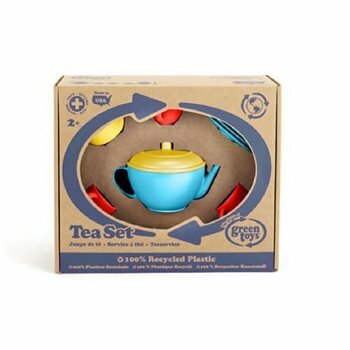 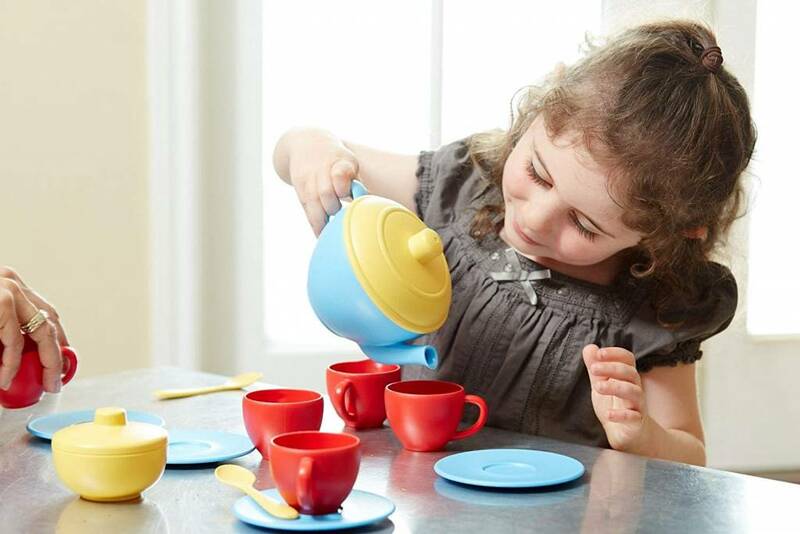 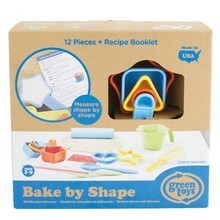 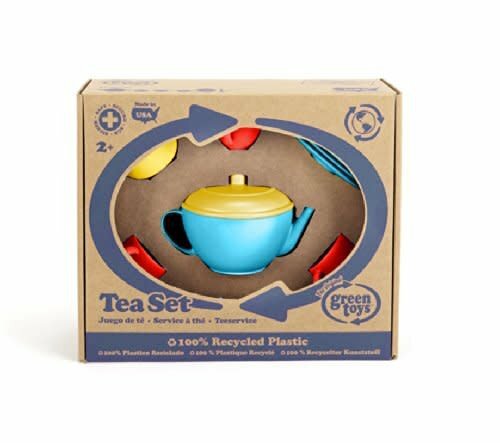 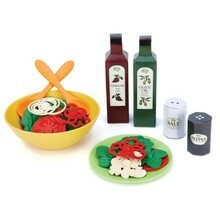 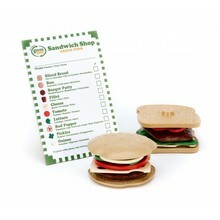 Like all Green Toys products, our Tea Set is made from eco-friendly materials, helping to reduce fossil fuel use and CO2 emissions, all in the name of Good Green Fun™! 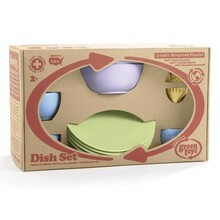 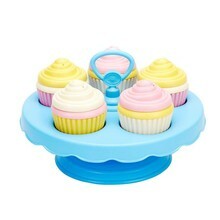 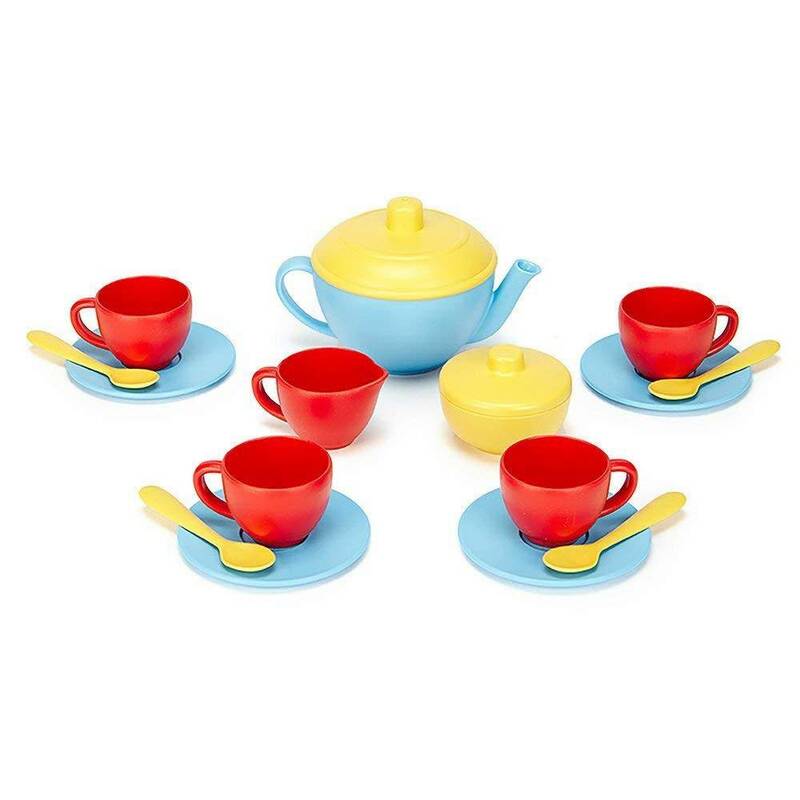 This 17-piece set includes tea pot and lid, sugar bowl with lid, creamer, 4 cups, 4 saucers, and 4 spoons.